MyLife is Whiddon’s award-winning model of care that puts relationships at the heart of great care. Relationship based care empowers residents, clients and their families to be true partners in their care, and supports our care staff to build deeper relationships with the people they care for, delivering better outcomes for everyone! MyLife sees care staff truly getting to know residents by finding out what matters most to them, so they can build strong and deep personal relationships. All Whiddon care staff are trained through a specific MyLife training program which equips our team with the skills, new techniques and approaches to deliver relationship based care. What are the benefits of Relationship Based Care? 97 year old Aub’s a self-professed petrol head. A lover of anything that drives fast and a mechanic by trade in his younger years, Aub’s Best Week saw him go cruising around the Camden Haven in a Mustang Convertible. 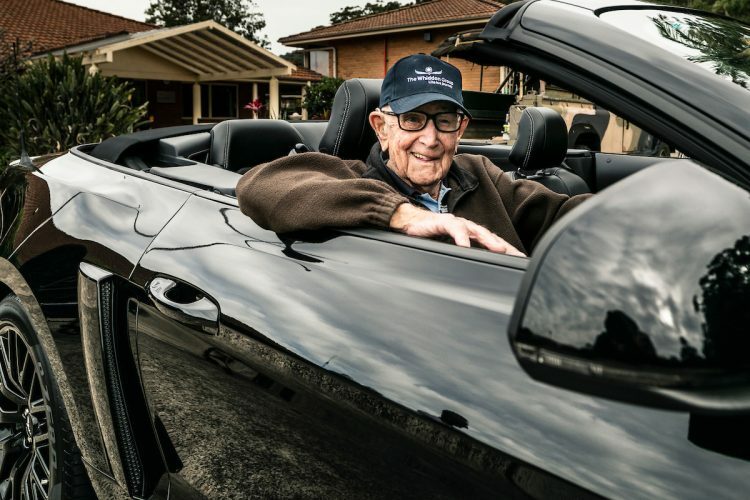 It was an extra special event for Aub to get back on the roads, albeit in the passenger seat, as he had stopped driving a year earlier after more than 80 years behind the wheel and missed it greatly. 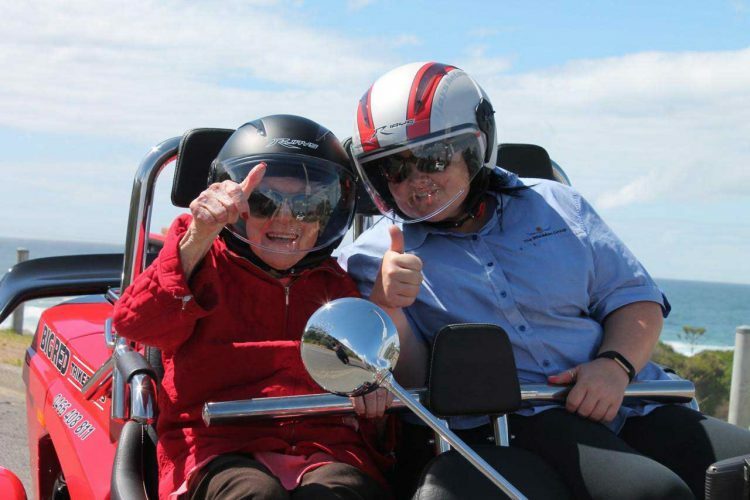 99 year-old Bette ticked a big experience off her wish list when she went on a motorbike ride for her Best Week. Bette’s last ride was 85 years ago, when she was late for her baked dinner because she was out riding on the back of a motorcycle. Not only did the team at Bette’s aged care home recreate this memory with a special baked dinner, they made sure she was back from her ride on time for tea! Bette was joined on her adventure by her MyLife buddy, Amy, who shared that as they pulled out of the drive, Bette asked to go faster. What is Relationship Based Care? Relationship based care is about the way we work and train our staff to bring MyLife into practice across our care homes and home care services. The way we achieve strong relationships is through continuity of staffing, personal connections and enabling choice and control for residents and clients. A dedicated rostering approach means that each resident has a dedicated MyLife carer, ensuring continuity of care and familiarity, along with personal connections that are friendly, respectful, kind and fun, and incorporate playful interaction where possible. All of our care staff are trained in relationship based care and we empower them to get to know their residents and clients really well, to hear their stories, learn about their friends and families and explore their interests, so that we can help them maintain and build social connections and reach their wellbeing goals. The stories that we find out through our ‘All About Me’ process, and the things that our care staff learn, encourage staff to go above and beyond in suggesting and making things happen for our residents, that they know will make a difference for each resident, and tap into their history. It is only when we truly know and understand our residents and clients well that we can help them to achieve their goals and dreams, support their wellbeing and quality of life, find ways to keep them connected and participating in the things that matter most to them, and deliver the best possible care outcomes based on their individual needs. Each resident is part of a small care hub and has a dedicated MyLife buddy, who gets to know them really well, supported by a consistent team of care staff. As part of the program MyLife buddies spend time with their resident getting to know them and what matters to them in life. As a first step care staff work with residents and families to create an All About Me sheet for the resident, describing the things that matter most to them in life. Staff also give their All About Me sheet to the resident, as they share their stories with each other. Each resident in every Whiddon residential care home experiences a Best Week at least twice a year. MyLife Buddies, and the Best Week team work together, partnering with families, to create a week of tailored activities for a focus resident. These can be big or small treats and events, some of which become part of their daily care. Often the Best Week team have to get creative teaming up with local interest groups such as fishing groups, businesses and volunteers to make Best Week wishes come true. This aspect of the program is very popular creating interest and motivation and things to look forward to for our residents and their friends and family. Can I still access MyLife if I'm a Community Care customer? As a first step, Whiddon care staff work with clients and families to create an All About Me sheet for the client, describing the things that matter most to them in life. Care staff also give their All About Me sheet to client, as they share their stories with each other. Care staff engage with clients, building on what they know and aiming to personalise the service and help clients meet the goals that really improve their quality of life. For example, one gentleman, recovering from a mild stroke, wished to get strong enough to travel to Scotland to see his family. As part of his home care service agreement we took him to the physio appointments recommended by his GP but also encouraged and motivated him to do his exercises while we cleaned his house. We took him around the block to build up his stamina and to keep him moving, and also explored hydrotherapy options. We supported him to renew his passport, which had lapsed, printing off the form and took him to the post office to submit it. We celebrated his trip with him when he returned, talking and reviewing photographs. Then we set a new goal with him of a trip to Queensland to visit other family and supported him to make this trip come true, liaising with family on his behalf. Another lady gave us her goal to remain mobile for as long as possible but her home care service agreement only covered cleaning. Her care worker practices Tai Chi so by mutual consent the staff member cleans priority areas in her home and then they spend the remaining time doing Tai Chi together – something they both love and gain great satisfaction from. MyLife is Whiddon’s award-winning model of care. A model of care guides everything about the way we care for our residents and clients. It defines our approach to care, our care environments and our commitment to meeting the individual needs of those we care for. Our model of care enables us to support the wellbeing of our residents and clients through a relationship based approach. 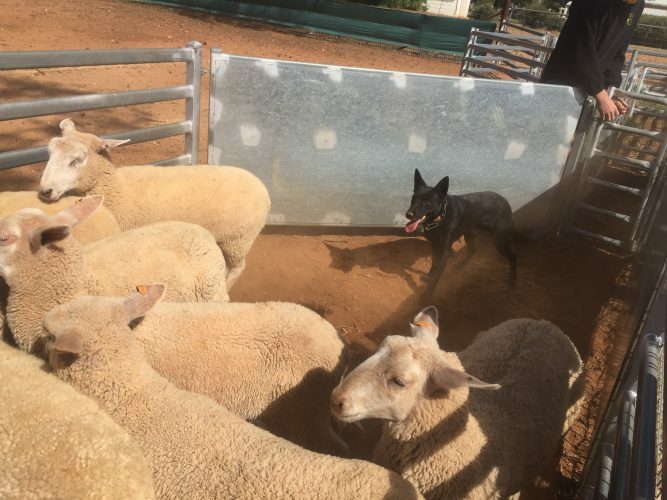 MyLife is a model unique to Whiddon and it has been developed, trialled and evaluated, using the latest evidence-based methods. MyLife promotes holistic wellbeing and supports our residents and clients across eight wellbeing outcomes based around the emotional, social and physical needs of our residents and clients. MyLife places incredible importance on the value of strong relationships between residents, clients and the employees who care for them, something that our research and experience tells us is at the heart of great care. MyLife enables us to truly get to know and understand our residents and clients on a much deeper level – who they are, what they love, what makes them smile, what their life experiences are and what they are passionate about. This is incredibly important for us to be able to truly support their wellbeing and improve their quality of life. Yes! Whiddon’s MyLife program has a re-ablement focus with staff encouraging residents to take more exercise and to continue to perform daily tasks. The University of Sydney measured the effects of the program on our residents. They found, over a 12 month period, that it significantly improved mood, physical function and social engagement and participation. It also improves job satisfaction for staff as they work in a stronger team environment.